Discussion in 'General Knife Discussion' started by SoCalEDC, Mar 12, 2016. 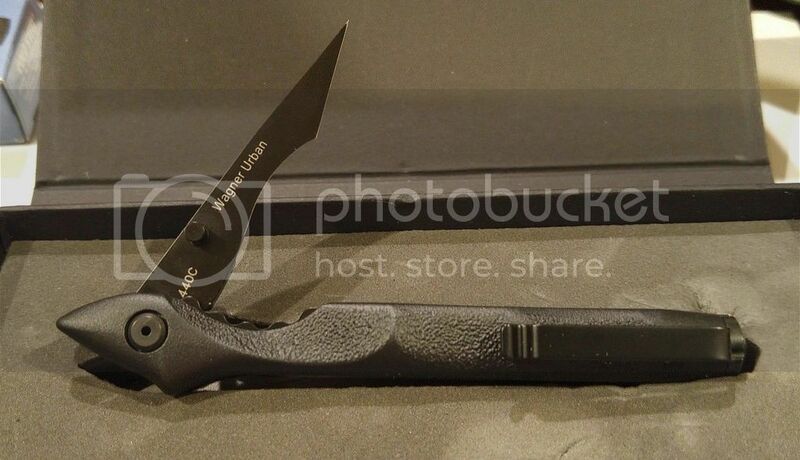 Boker Urban Survival. Small, pen style with glass breaker. RenOfTheBlade, htmn2054, DRLyman and 4 others like this. Just ordered, but its going to be a couple of months. Received a Swamprat Ratweiler CG (3/16" version) earlier this week. Top - pictured with a 1/4" Ratweiler CG. A custom make I imagine Dddrees? Nice looking knife! hhmoore, what size blades? Love those knives! It's not custom per say but they do call them a semi custom. Its a Rockstead Shu. 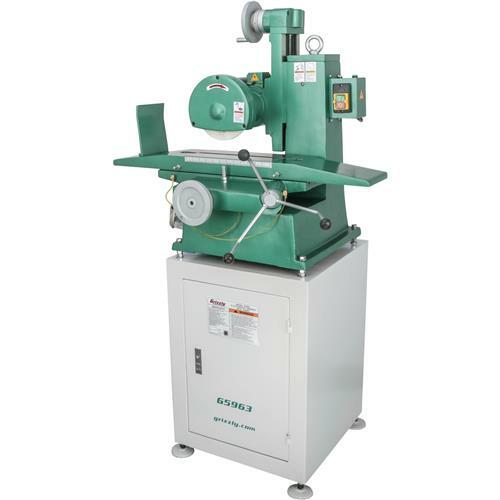 I'm hoping the one I ordered can be included in their upcoming production run in a couple of months. Can't wait to see my friend! I bought a brand new Buck 124 last week. Absolutely love it. I also placed an order for a nice new leather sheath for it too at Patriot Leather. I assume you lost it? Don't know how to post pics but got a ti military and a kizer bobcat with g10 scales. gonna seriously pimp out the millie though. Have ti barrel spacers and clip coming. sending her out for a legit annodization jov, acid wash, gonna wave it myself and reshape the blade profile, getting the lock carbidized and gonna have new holes drilled for tip up pocket carry. ill show you guys when she's done. What do you guys think of those mods? I use Photobucket for posting pictures. Join, no big deal, then upload your pictures with upload button. Once uploaded, use the pictures IMG code, copied, then paste on this forum. Just got the CRKT Amicus and the Kershaw Intellect - but really nice. I picked up a few beauties recently....Benchmade 761, absolutely amazing knife!! 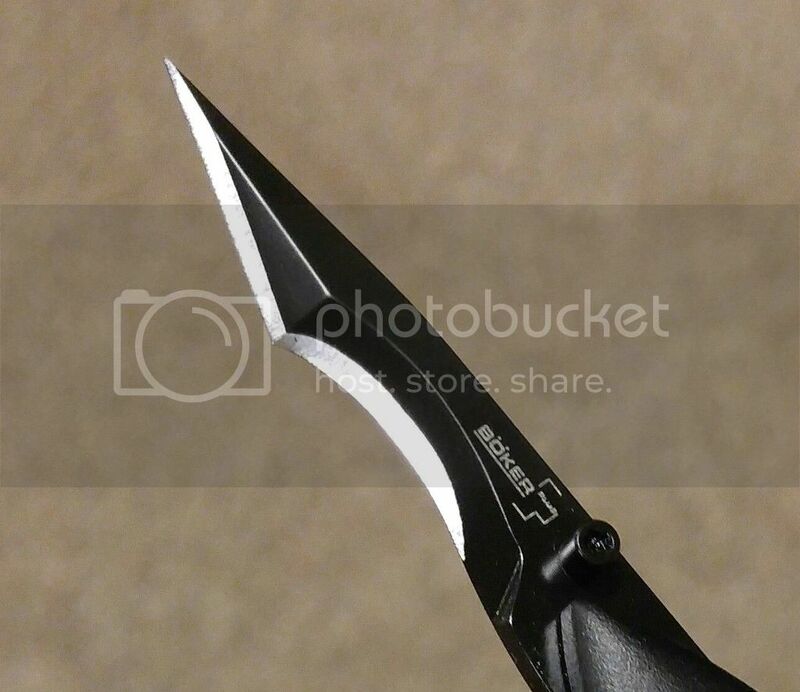 Super light, fast and a great blade profile!! 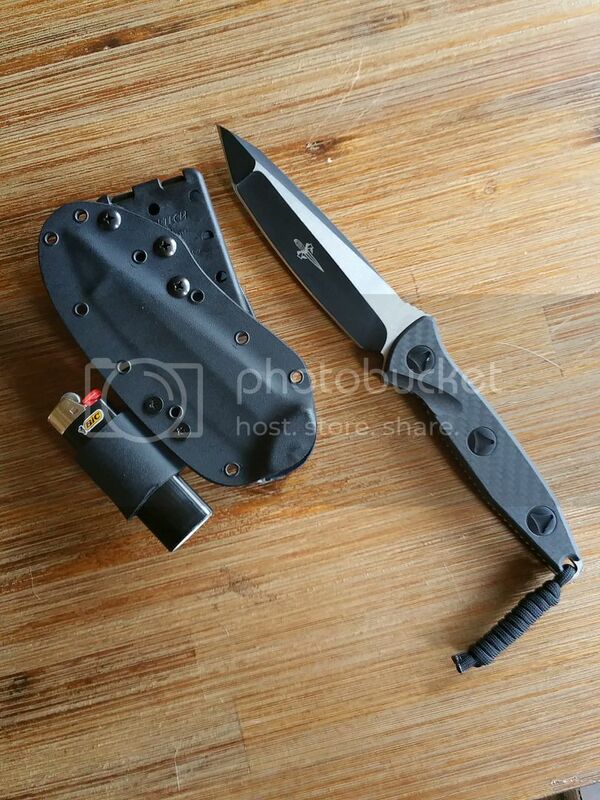 Benchmade 665 with black blade.....monster!! 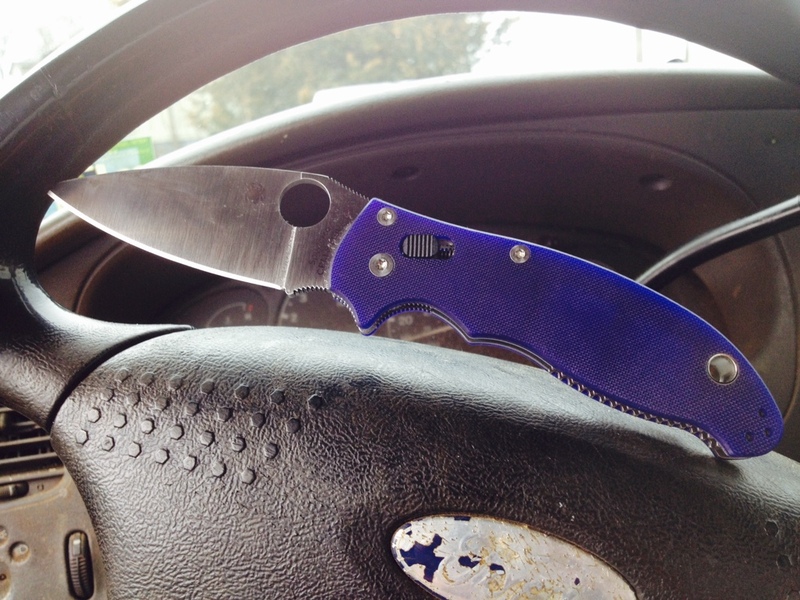 Blurple G10 Manix 2.....literally perfect out of box!! Loving this one!! htmn2054 and sparklygalaxy like this. This came last week... Marfione custom Socom Alpha. Promptly made a Urban Survivalist rig for it, set up for reverse grip edge out. Greg6640, Japacheze, valknut and 2 others like this. Been getting a lot of Spydercos lately and loving them. Started with a Ti Millie then got a brown matriarch, got an s110v native and matching pm2. Those two cut really well, factory edge was great. My latest acquisition is this stretch. I also got a leather slip and new lanyard for my LG 21 on the same order. 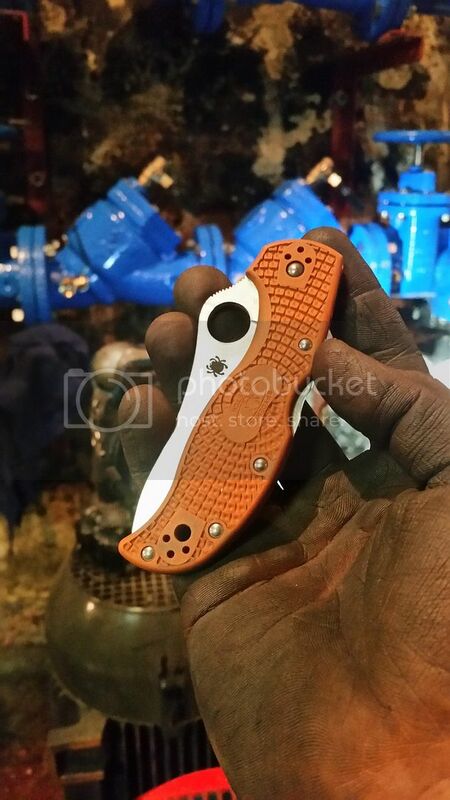 I'm kind of kicking myself for not grabbing a delica at the same time. Sold out. slicecream, htmn2054, Japacheze and 1 other person like this.